In our final week of the CRS Program Highlight series, we conclude with statements from former Art Counselor, Eva Stylianou (‘05-‘07, ‘11-‘13), and Music Counselor, Sofia Logan (‘11, ‘12, ‘16, ‘17). The arts are an important aspect of the CRS program because they provide a constructive and creative outlet for campers while heightening artistic sensibilities. 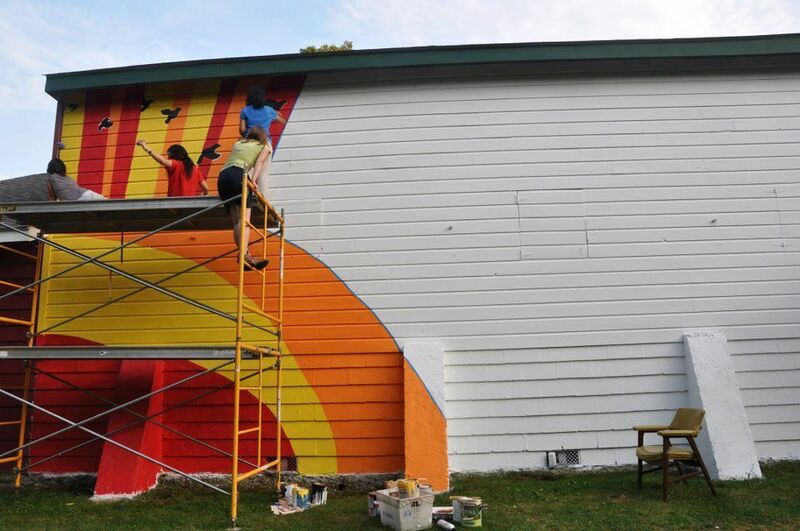 Campers might learn how to work in teams to paint a mural, or demonstrate their leadership by teaching campmates how to play a musical instrument or share an important aspect of one’s culture through a musical or artistic performance at a weekly variety show. This season, campers engaged in an array of music and art lessons, including poetry, which was featured in the CRS TIMES blog series, and various styles of dancing, including Breakdance, Chinese Lion Dance, and Scottish Dance. Read about the importance of art and music to the CRS program from our two counselors below. I had the honour of being the art counselor at Camp Rising Sun Clinton for the summers of 2011, 2012 and 2013. All three were incredibly different, yet the spirit of togetherness, belonging and the creativity and inspiration that fuelled them was to me often felt in the art cabin, or during various structured or unstructured art activities held throughout the campsite. To me, the highlights had to be when the campers had begun to find their own artistic voice, became comfortable enough in the space and with their peers to begin their own art projects or instruct/help each other to create outside of their comfort zones in their own ways. To ensure this confidence was nurtured and this point in the summer was reached, I always made sure to lead some very open art instructions in the first few weeks of the summer to set the scene and expectations, which promoted creative autonomy, non-judgemental practise, and open self-expression. This meant that I spent some of the budget each year on a variety of materials such as paper, paints, pencils, sewing materials, etc. that were free to be used both during and after these workshops. With trust given in this way the campers soon learnt to look after their own space and feel at home in it. It helped them to use materials freely, become absorbed in their practise and engage and become inspired at their own time and space. It also allowed them to safely try new things with less of a fear of failure, now being 'good enough' or 'talented enough' for a pre-imagined outcome. By spending time with them, while on their creative ventures in the art cabin, I was able to be both a silent observer and a supporter, giving advice and encouragement when needed, but mostly promoting the safe space that was being created. One of the highlights in 2011 was an outdoor life drawing session that took place mid-way through the summer, once the campers had felt more confident in their abilities. They were encouraged to do their own versions of what they saw in the landscape, and this led to some excellent renditions of the camp grounds in all sorts of different styles and colours. This required purchasing some good quality acrylic paints, boards and paper. I always saved some of the budget for larger project with a guest artist. One year I invited a local Rhinebeck watercolour artist to run a workshop for the campers and the next a NYC artist to do the same. These resulted in some truly fantastically unique artworks that the campers and of course I, were immensely proud of. The successes of these workshops were a mixture of the technical expertise and skill the camper were able to gain but also the diversity, artistic creativity and respectability of these artists that they were able to work closely with and learn from. 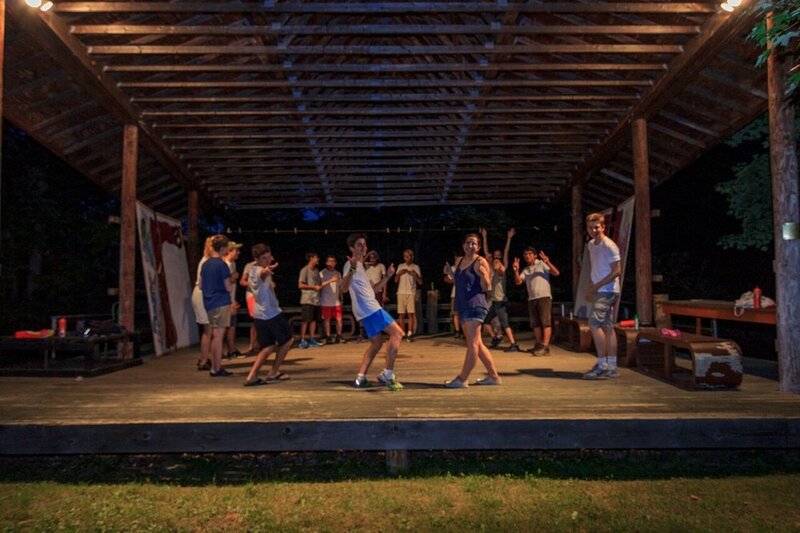 From impromptu Bollywood dance parties in the dining hall to hour-long jam sessions involving every single instrument in the campers lounge, musical expression is integral to Camp Rising Sun. As the music counselor in 2016 and 2017, I watched campers develop a deep-rooted confidence to share their artistic talents with the world. Campers who shuddered at the thought of performing in public on the first day were enthusiastically singing camp songs after lunch and performing their original compositions in Variety Shows by the end. My favorite part of the music counselor position is the spontaneity and creative energy campers and staff bring to collaborate on new artistic ideas, drawing influences from all over the world. In 2017, I used my budget to purchase a new loudspeaker and CD player so campers could share music from their communities back home, and have a reliable sound system for instructions, evening programs, and dance parties. I also used my budget to tune the pianos, which was appreciated by numerous campers that spent the whole summer playing them. 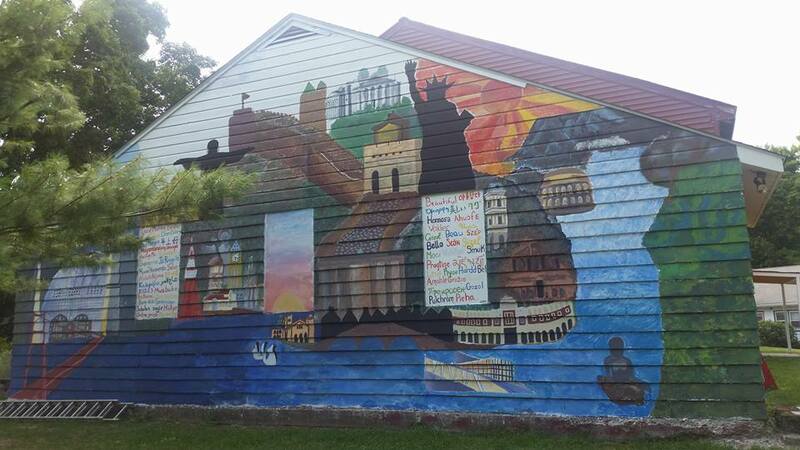 Camp Rising Sun provides a space for young people to explore music and dance as tools for social change, telling different cultural stories through artistic expression.